Bedridden Mukono Municipality member of parliament who is currently receiving treatment in India has applauded Ugandans who took time to send her birth messages. Nambooze is currently receiving treating in India after sustaining backbone injury during age limit amendment bill. She was beaten by Special Force Comand who raided parliament and beat members of the parliament especially from opposition side. Nambooze who made 49 today also criticized the government for injuring her despite government top priority is supposed to be protection of all citizens. She was also full off praise for her husband whom described as loving and trustworthy and has kept the vow of being with her for better or for worse. In each day there is something to celebrate; some days it can be as simplistic as getting out of bed but other days it can be a celebration of great magnitude. Yet still, one's birthday remains a very special day that only comes around once a year; But, as I found out this year having to celebrate my birthday from a hospital bed thousands of miles from home, it’s difficult when a birthday brings both celebration and grief.....Today I ended my day blowing out the candles atop of the cake I didn't expect ....I was so surprised when my husband brought a cake fully lighted and called me out to make a birthday wish.... although I can’t tell you, I’m confident that you know what I wished for this year. Change is inevitable; as we grow so will our opinions and views on life. However, when you’re brutally thrown into the world of living with a chronic illness by your own government, people who would have protected you... things change in ways that you wish they didn’t — like my birthday. I truthfully have never been someone who loved attention, many people don't know that I’m quite shy by nature, I was the kid that got so embarrassed she would cry when people sang me happy birthday. I never in my wildest dreams would have imagined that at 49, there would still be tears as I blew out my candles, tears resulting from the torture I have suffered at the hands of dictatorship and injustice in my country. My illnesses have changed the way that I perceive many things in my life, and it’s made me realize my values and morals and helped me appreciate the little things. 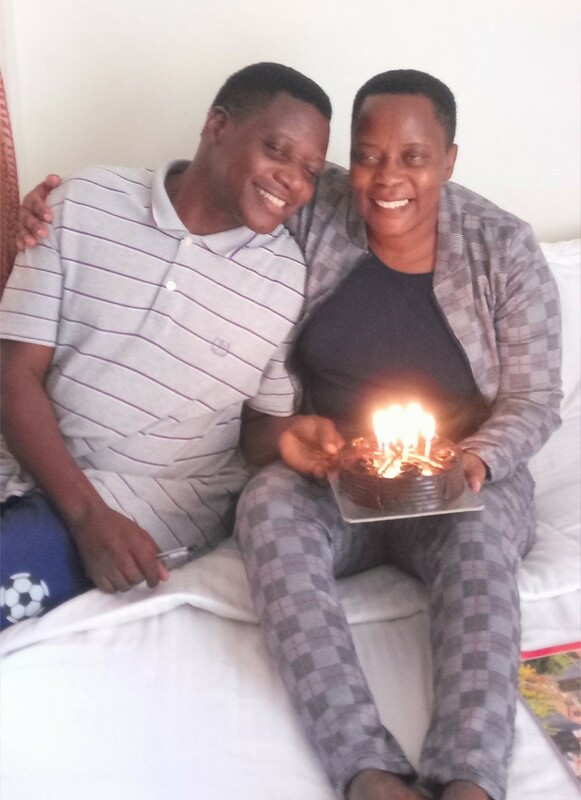 As I grow older, my birthday is no longer a day of receiving gifts and attention, but a day to be reminded of how loved and appreciated I am by those in my life and a day to remind myself that by the way things are in Uganda, its only by the grace of the Lord that I remain around to celebrate yet another year of life. Now, my birthday is a bitter reminder of where I could be and where I am not; where there used to be happiness and celebration is now replaced with the urge to see that together as Ugandans we give our children a country where, on birthdays we only shed tears of joy and not soul. Where people celebrate the State as a pillar in their life and not breakdown when they reflect on how they have been tormented by those in power. I thank my Henry for being by my side all the time...for being true to the vows you made for me... and all of you friends and colleagues who have impacted on my life for the better...those who celebrated my birthday and posted kind words about me...Thank you very much.